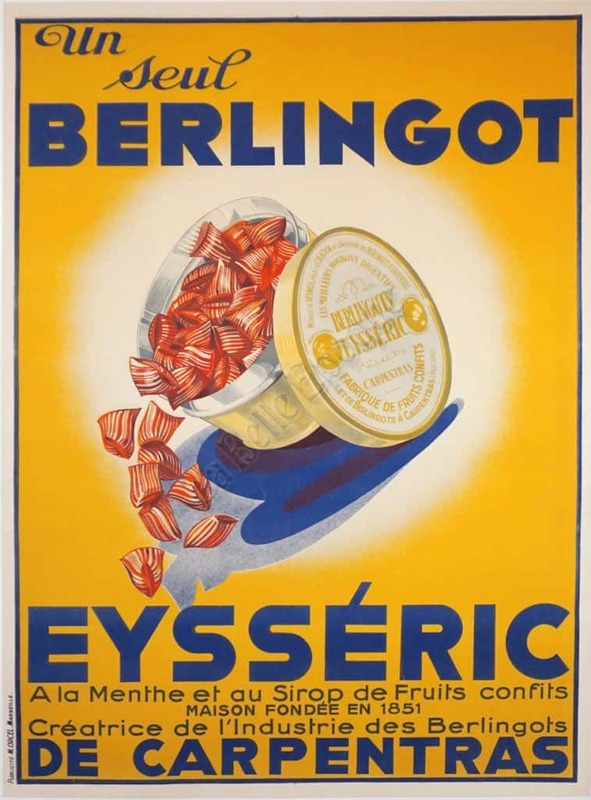 French fruit based hard candies, known for their stripes, colorfulness, and signature shapes. They are carefully made with only natural flavors. Shown on this poster, the red & candies spilling from the tin onto the Gold & yellow background with blue lettering.